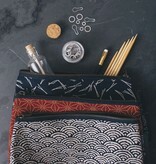 Transport all of your prized notions & tools in style with a Twig & Horn Medium Notions Zipper Pouch. This pouch is made from Japanese 100% cotton fabric and lined with 10 oz Cotton Duck Canvas made in the USA. The final product is cut and sewn in Maine and measures 9" wide at top 10" wide at bottom and 6" tall. 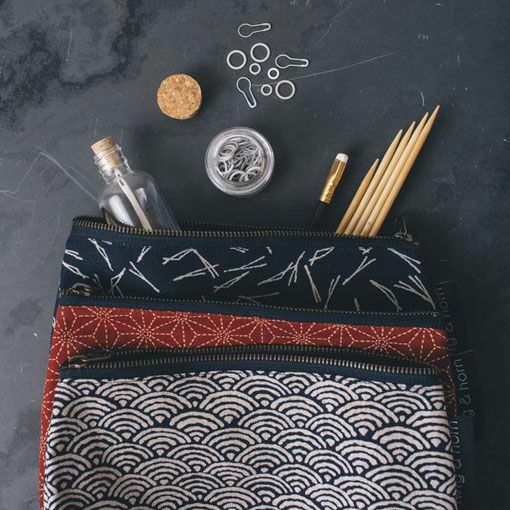 Whether you decide to use this as your daily notions pouch or as a place to store all of your loose DPNs, whatever the task this sturdy zipper pouch will hold up.